Minister of Energy Jeff Radebe has told Parliament Eskom is not closing its own coal plants early as a result of offtake requirements within the coal Independent Power Producers. Radebe was giving a written reply to a question from Economic Freedom Fighters MP Mzingisi Dlamini on the impact of Independent Power Producer arrangements on Eskom’s business. 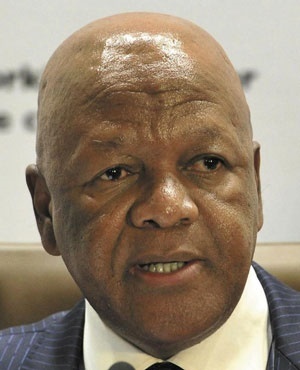 Radebe joining the energy portfolio has seen increased commitment to the IPP framework, though critics believe this could cost jobs and harm the energy sector if not executed carefully. Dlamini argued that Eskom might have to close some of its own coal plants early to meet offtake requirements of the coal IPPs. In Dlamini's view, Eskom would have to sell electricity at very high prices, in circumstances where increasing numbers of electricity consumers are defecting from the grid. Radebe, however, said Eskom's policy on the decommissioning of its fleet was informed by an optimal balance of cost efficiencies, reduced capacity and carbon emission considerations. "The efficiency of Eskom’s older coal-fired power plants have deteriorated rapidly and these plants cost substantially more to operate, resulting in a spill-over into tariff increases," said Radebe. Eskom's planned decommissioning of the Arnot, Camden, Grootvlei, Hendrina and Komati coal-fired power stations was already projected in the Integrated Resource Plan of 2010, he added. "Government’s energy policy is, among others, premised on a balanced energy mix recognising our country’s natural endowment of energy carriers, including coal," he said. "Government’s policy also supports techno-economic solutions for power production from environmentally hazardous discard coal stock-piled over years above ground. "Notably, one such solution is presented by one of the coal IPP projects as a first-of-kind in South Africa." He said the Integrated Resource Plan for electricity indicated that the decommissioned capacity would be replaced by approximately 8 800 MW in new coal generation capacity through Kusile and Medupi. Government’s policy position to reduce carbon emissions and continue with the new build coal plants, contained in its Nationally Determined Contributions, submitted in 2015, remained unchanged, he said.